Protecting the Sacred Art of Gentle Birth. We Believe in Your Body's Ability to Birth Naturally. At Napa Valley Midwives, we empower women, and support the natural birth process from conception through the postpartum period. We trust in a woman's innate ability to give birth. Heather and Bee are dedicated advocates for families choosing midwifery care. 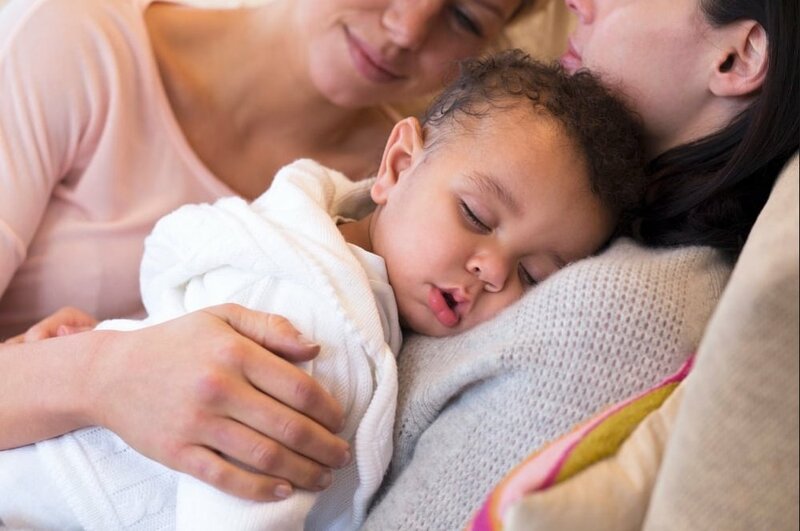 We offer a wide range of primary care, from home birth services, customized prenatal care, doula services in hospital, breastfeeding support and postpartum doula care. At Napa Valley Midwives we have trust in a woman's innate ability to have a natural and gentle birth. Women’s bodies are tremendously powerful, complex and wise. Napa Valley Midwives, Heather Hilton and Bee Lauher, seek to empower and educate the women they work with. They take great care in nurturing the entire family, by guiding them to make informed decisions with the best up to date, evidence based information available. Bee and Heather deeply believe in protecting the sacred art of gentle birth through empowered, informed and consensual collaboration. With information rooted in the juxtaposition of traditional midwifery practices and the latest scientific advancements and evidence-based research, Napa Valley Midwives support the health and wellness of both mama and baby throughout the pregnancy, birth and postpartum experience. We believe that every woman deserves an amazing midwife! After working in the medical field and experiencing standardized maternity care first hand with the birth of my son, I knew that I wanted to provide something different to families. Something that was honorable, sacred, safe and deeply rooted in knowledge and trust of birth as a normal process. I wanted to educate and empower birthing mothers and welcome babies in a gentle way. I became more deeply committed to Protecting the Sacred Art of Gentle Birth with each birth I had the honor of attending. At a very young age, I knew that I wanted to help women bring their babies into the world. While my idea of how I would do this has changed since then, my trust in birth has never faltered. After working in the medical field and experiencing standardized maternity care first hand with the birth of my son, I knew that I wanted to provide something different to families. Something that was honorable, sacred, safe and deeply rooted in knowledge and trust of birth as a normal process. I wanted to educate and empower birthing mothers and welcome babies in a gentle way. In 2008 newly pregnant with my second child, I decided that it was time to start following my heart. I knew that not only would I hire a midwife for my own home birth but that I would become a midwife myself! I immediately began on my journey by becoming a birth doula, and beginning my midwifery apprenticeship and studies. I started supporting women through their labors and birth and I just couldn't get enough. I was in awe of the power and beauty that is birth. I had found my passion! In 2012 I traveled to Haiti where I volunteered at a high volume birth center, which enhanced my midwifery skills and expanded my heart in ways I never imagined. In 2013, having completed my training, I became both a NARM Certified Professional Midwife and a California Licensed Midwife! I began practicing at Pachamama Midwifery in Napa, Ca and birthed my own Napa Valley Midwife soon thereafter. I have been proudly midwifing the home birth community of Napa, Sonoma and Solano Counties since 2011. In addition to being a Licensed Home Birth Midwife, Birth Doula, and Childbirth Educator, I also offer breastfeeding assistance and placenta encapsulation services. The team at Napa Valley Midwives, with over 20 years of experience are passionate about protecting the gentle birth process. Heather Hilton, LM, Bee Lauher LM.CPM, and Kristina Parks LM.CPM have run a successful home-birth practice for over 10 years in beautiful Napa Valley. Serving families in Napa, Sonoma, St. Helena, Petaluma and surrounding areas. They offer comprehensive prenatal, birth, and postpartum care to low-risk women and families. Napa Valley Midwives are Licensed by the Medical Board of California, and are also Certified Professional Midwives which is a credential given by the Northern American Registry of Midwives. All members of the Napa Valley Midwives team remain current in BLS, CPR and Neonatal Resuscitation and other modern evidence-based medical practices to facilitate a safe and gentle home birth experience for your family. Heather and Bee are both members of the Midwives Alliance of North America (MANA) as well as the California Association of Licensed Midwives (CALM). They remain active in furthering their clinical training, as well as studying traditional gentle birthing philosophies. Napa Valley Midwives are dedicated to supporting women and infant health and therefore regularly participate in workshops and conferences to further their skills and knowledge in the field of midwifery. The Napa Valley Midwives’ team hold a deep respect for the unique birthing needs and experiences of every family they work with. They are devoted advocates of protecting the sacred art of gentle birth and reducing unnecessary medical interventions. They trust in a woman's innate ability to birth her baby and are honored to serve as collaborative guides on your journey into parenthood. We are with you through your pregnancy & birth. We will support you in having the natural, gentle and empowered birth experience you desire. I believe in choice, and that we as women should be given the right to choose where and with whom we will give birth. I always feel blessed and honored to be able to witness a new life emerge into this world, and support a new family through this sacred transition. My path to Midwifery started in Taos, at the Northern New Mexico Women’s Birth center. I attended my first birth in 1998. My eyes were opened to the amazing power the birthing mother has and the incredible amount of strength and trust that it takes to have a baby. From that birth on I dedicated my self to becoming a midwife, doula, educator and all around supporter of women. For over 19 years now I have been offering Wise Woman care to Wise Women and families through conception, pregnancy, labor, birth and postpartum. My goal is supporting and educating our clients so they can enter their births with strength and confidence, leaving fear far behind. I have delivered hundreds of babies and have supported countless families though this transition into parenthood. I understand the nature of pregnancy and birth. I promise you that with my care you will move through this transition with guidance and support that you will not find with any hospital staff. Being a Midwife has taught me many lessons. It has taught me how incredibly strong women are and how truly amazing our bodies have to be. It has taught me patience beyond words. Midwifery has also strengthened my two daughters and has shown them that they can trust in their bodies. That birth does work, and that they are strong enough to do it. I have been incredibly fortunate in my career as a Midwife. Midwifery has given me medical skills, training and education that I have been able to take with me to countries like Mexico, Vanuatu, Indonesia, Guatemala and Uganda to provide midwifery aid to women and babies deserving good quality care. Sharing & receiving knowledge and wisdom with traditional birth attendants has expanded my experience in the birth world far beyond what any class room or book could have taught me. I trust in our bodies ability to birth our babies safely. I believe in choice, and that we as women should be given the right to choose where and with whom we will give birth. I always feel blessed and honored to be able to witness a new life emerge into this world, and support a new family through this sacred transition. My call to midwifery was seeded in childhood both as a survivor of trauma informing my passion and simply who I am on a soul level. I have always had a deep relationship with the world around me and held a fascination of pregnancy, birth, and babies from early on. In high school, I completed a 50 hour internship in which I shadowed an OB/GYN and experienced my first witnessing of birth. From that day on, I had full intention of pursuing a career that was rooted in the care of womyn & birthing folx alike. In 2014 I began my studies at Birthingway College of Midwifery in Portland, Oregon. I completed a 2.5 year long apprenticeship at Glow Midwifery and received my Bachelors of Science in Midwifery in May of 2018. After receiving my Midwifery license for the state of California, I now work with the Napa Valley Midwives in my hometown of Napa, California. In addition to Midwifery, I hold passion and experience in clairvoyance, herbalism, and doula services. I am a strong believer in the healing power birth holds for our world. In a time when humanity is facing difficult times, I find hope in cultivating care for womyn/families/folx to access their personal power and walk through the rite of passage that is childbirth, as informed, loving, and intentional. My purpose is to hold space and provide care to the people who desire changing a pattern of fear and violence into a pattern love and trust. I call on my education, experience, and intuition to guide my decisions in providing care to ensure that all are thriving. We care deeply about the families we work with. We are passionate about empowering families and welcoming babies into the world through gentle birth. We limit the number of clients we take per month so you are guaranteed that we will provide high quality, personalized care to you. Heather Hilton is a highly skilled, compassionate and respectful midwife. She helped me through a difficult pregnancy and made my birth a gentle, empowering and truly amazing experience. I appreciated the home visits, her constant emotional support and availability during my pregnancy as well as her steady, calm and encouraging presence during my 70+ hour labor and birth. She respected my birth plan while lovingly walking me through my grief when I needed to let go of certain aspects due to my baby’s medical needs. Heather was nothing short of a phenomenal midwife for my partner and me during our first pregnancy and birth. We felt deeply held by her empathic, empowering collaborative approach. She is present, emotionally and physically available (24/7 during our time as clients), nurturing, skillful, and respectful. Her integrity and dedication to my agency over my body and birth experience was tremendously helpful. She is trauma-informed in her approach and holistically minded as well as clinically knowledgable. She is truly now part of our family. If we have a second child, we will certainly call on her services again. My shamanic birth guide, my angel of labor. You gave me the perfect amount of encouragement, praise, and suggestions to keep me in the moment, in my body and in the realization that we were doing it! Lena and I were birthing! My manifestations of the perfect birth day were similar, but the actual day was more wonderful and amazing a day that I will always look to with contentment in having such a smooth birth at home! I am humbled in knowing that your work and the role you played in making his day a memorable day and a rite of passage is immeasurable. I am honored to have been your client.You brought the joy of our lives into this world! We love you and thank you to the ends of the world. I wanted to thank you for your help and care during my pregnancy and Evelyn’s birth. I felt in very good hands with you and Brandi. Thank you for your compassion and expertise. This birth will be a lasting and beautiful memory. Dearest Bee & Heather~ Thank you so much for being such a steady support for us all during Reef’s pregnancy, labor and birth. You were so calm and loving during Reef’s birth; it was a presence that I truly needed and loved. I will forever hold fond memories of you both in my heart. Thank you so much! We believe in the power of the human body's capacity for a gentle birth and strive to facilitate a respectful, calm home birth experience. Home birth has been proven to be a safe option for women who are healthy, receiving quality prenatal care, and don’t have any medical conditions that would put them or their baby at risk. Women have been giving birth since the beginning of time. Napa Valley Midwives bring a gentle approach that will nurture and empower you as well as the medical expertise needed to identify risk factors and manage complications, should they arise during your labor or birth. Your health and safety are always our number one concern. We closely monitor both mother and baby throughout labor to ensure that everyone is in optimal health. Bee Lauher & Heather Hilton are highly skilled midwives that have countless hours of medical training. Everything needed for the safe delivery of your baby will be brought to your home. Oxygen, Hemorrhage Medication, IV fluids and Neonatal Resuscitation equipment. All of our midwives are trained in Neonatal Resuscitation, CPR and Birth Emergency Skills. "The largest study of home births attended by Certified Professional Midwives, as published in the British Medical Journal has found that home birth is safe for low risk women and involves far fewer interventions than similar births in hospitals." Working with a home birth practice is drastically different then working with a large OB practice or hospital. Here, you will see the same one or two midwives through out you pregnancy. You will have an established relationship with the women that will help you through the challenges of labor and birth. You will always have someone to answer your questions or address your concerns. Your midwives will know your desires and wishes regarding your birth! Studies have show that being relaxed and at ease greatly reduce pain and anxiety. Being in the comfort of your own home allows you to feel safe, stress free, and uninhibited throughout your labor and birth. You can create the type of space and environment you need to feel free. This might include creating an altar, your own music, candles, low lighting and having who you need or want to be present at your birth. Many hospital interventions are unnecessary and increase your risk for more intervention! Epidurals, inductions, episiotomies, immediate cord clamping, IV fluids, and cesarean sections all have their place when necessary. But for 90% of low risk women they are not needed and only increase your risk for further complications. Gentle, peaceful birth in the sanctuary of your own home, with highly skilled collaborative support on your terms. You don’t really have to dance your baby out, but you can feel free to move in any way your body tells you to. Position change and choice are key to a smooth, natural birth. In most hospitals, birthing mothers are asked to lay on their backs. This is very convenient for the doctor, but not always a great choice for mom and baby. Your baby will not be taken away from you at home. Your newborn is placed immediately on your warm belly after birth. You will have at least one hour to connect and communicate with your baby and partner before any examination happens and breast feeding will be encouraged right away! Our approach is collaborative, gentle & natural. Welcome your baby into the world in a gentle, safe & peaceful manner. Napa Valley Midwives offer the perfect blend of ancient wisdom via traditional natural birthing practices, balanced with modern clinical medical training and care. 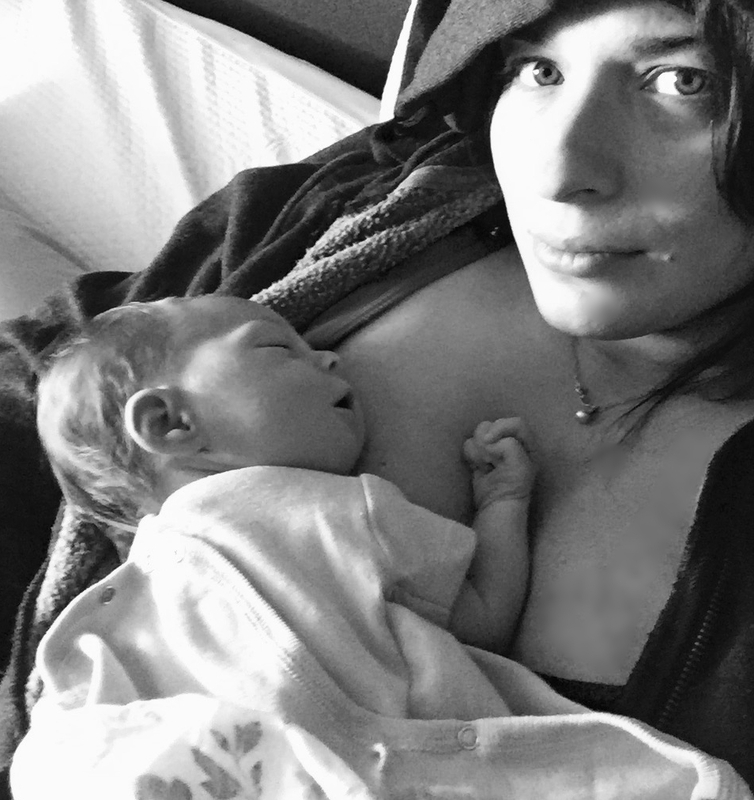 Napa Valley Midwives offers highly skilled, evidenced based midwifery services to families choosing Home Birth, Water Birth, Vaginal Birth After Cesarean (VBAC), Doula Services and Well Woman Care . We are California Licensed Midwives that provide individualized, personal and holistic care and support throughout the childbearing years. Why should you choose Napa Valley Midwives? ■ Nurturing comprehensive holistic care throughout your entire pregnancy, birth, and up to six weeks postpartum. ■ A free hour-long consultation and getting-to-know-you visit to answer questions and address any concerns you may have about midwifery care. ■ Personalized hour-long prenatal and postpartum appointments. ■ All the same prenatal testing options that women are offered by other obstetric providers, including genetic screening, blood tests, lab work and cultures. ■ Referrals for ultrasounds as needed or desired and consultations with physician specialists, as needed. ■ Midwives on-call 24 hours a day for any questions or concerns that may arise. Consuming your placenta postpartum can balance your hormones after birth, boost your mood and your energy, increase your milk production and help to restore your iron levels. Please call to schedule an appointment..
Napa Valley Midwives provide highly personalized care throughout your pregnancy, birth and postpartum journey. We facilitate calm, gentle, natural and peaceful births in the safety and comfort of your own home. Practicing the Sacred Art of Gentle Birth, One Baby at a Time.